President Nana Akufo-Addo of Ghana on Thursday addressed the attacks on Nigerian traders in Ghana. 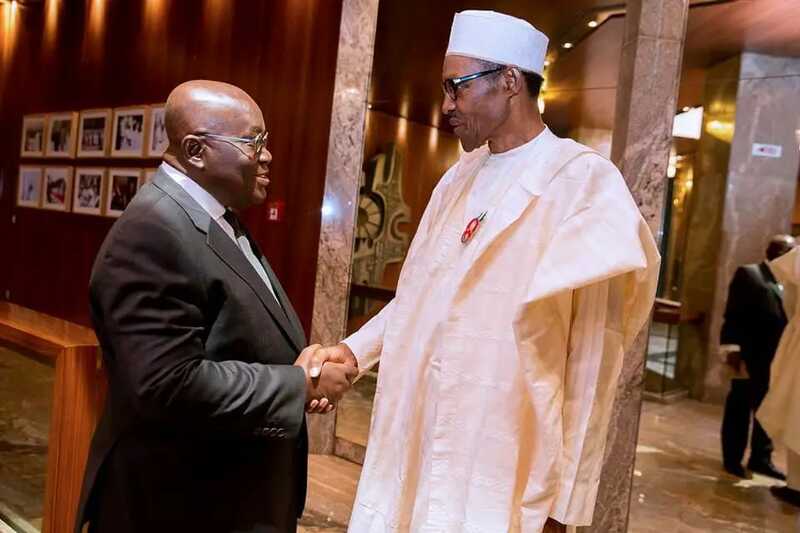 Akufo-Addo assured Buhari that Nigerian traders were being taken care of. He stated this at a meeting with President Muhammadu Buhari in New York on the sidelines of the ongoing United Nations General Assembly. Femi Adesina, the Special Adviser to the President on Media and Publicity, made this known in a statement in Abuja. The Ghanaian leader said there was no intention to deliberately target Nigerians, noting that it was all about complying with the rules that guide trading in the country. “It is just that they needed to regularize their positions according to the trading laws of the country,” Akufo-Addo said. The statement read: “The Ministry of Trade and Industry wishes to inform the general public that the National Committee on Retail Trade will continue to ensure that all businesses operating in the retail trade sector of Ghana are given the opportunity and support to regularize their operations and comply with the laws and regulations in the country. Buhari in response commended the actions taken so far to address the situation, stressing that Nigeria and Ghana had a relationship that dated back in time.